Design and create your very own Floral Incense bundle! Giving you the opportunity to enjoy the sensory experience of creating with special herbs and flowers while setting your intention for the way you will embrace this smoke ritual. 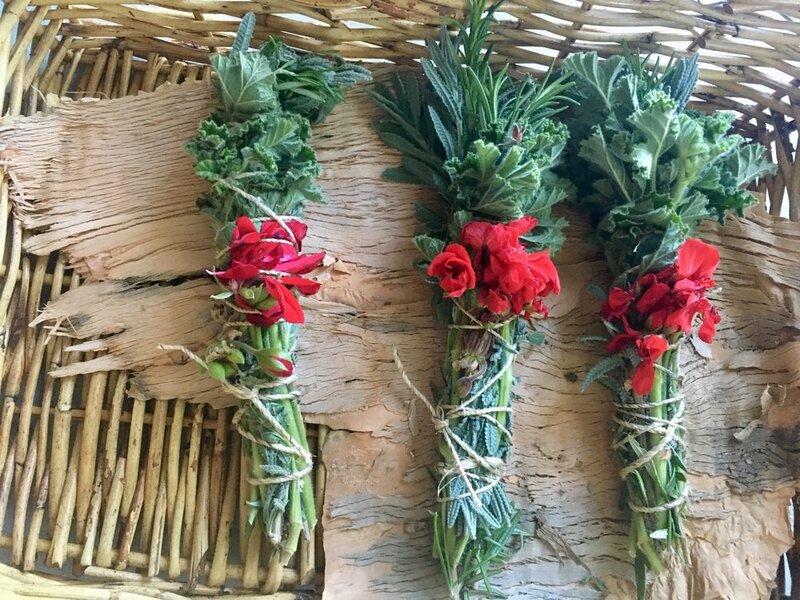 Using sacred herbs and flowers you'll be able to create your very own Floral Incense bundles and watch the drying process of nature unfold. The materials are grown in the Hunter Valley, NSW, free from the use of toxic chemicals. We harvest with special attention to taking only what the plant is ready to gift us, without over harvesting. The materials will vary depending on what is in season and ready for harvest at the time of your order. Please let us know when placing your order if you have any plant allergies.